Shopping for Sophia and Grace is without a doubt one of my favourite things to do due to the sheer cuteness of girls’ clothes out there. Bows! Ruffles! Florals! The selection of clothing with cute little details is virtually endless. The fashion game for kids clothing brands has definitely stepped up a lot in the last few years. Having shopped for everything from casual pieces to special occasion dresses these are my go-tos for clothes that I know will deliver in the style and quality department. I love this brand so much that when they approached me to do a collaboration I couldn’t resist. Sapling do beautiful organic baby clothes in super soft cotton and the prints are always very cute. The range at Country Road is always really sweet with lots of mini-me options of popular fashion trends for adults. One of my favourite kids clothing brands in Australia. The prints and colours are always spot on and there are lots of neutral and pastel options which I am a big fan of. I love the gorgeous designs from Eeni Meeni Miini Moh. 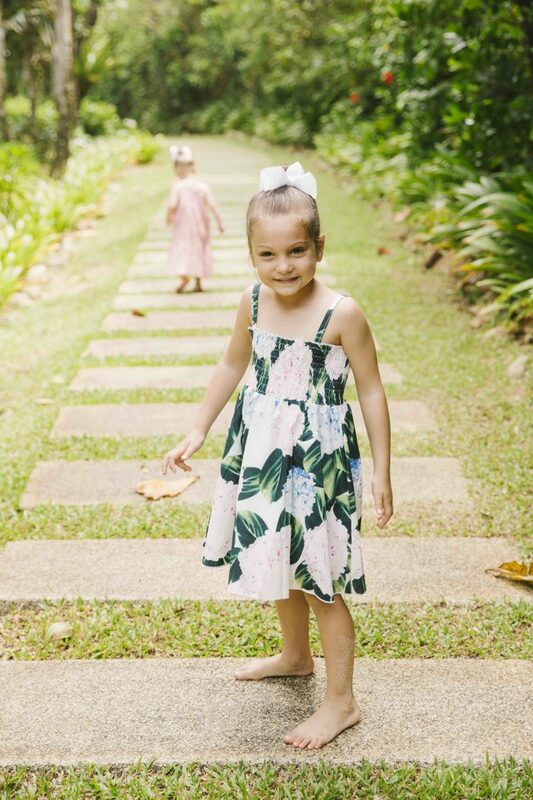 I often dress the girls in matching pieces – everything is super cute! You don’t have to spend a fortune on kids’ clothing. Cotton On Kids have an extensive range of basics to going out clothes that are at a reasonable price point. This is particularly great when you consider how quickly kids grow out of their clothing. My girls lived in onesies till they were walking so I stocked up on a lot of Bonds wondersuits. One of the best things about Bonds’ range of onesies is that they do up with a zipper rather than press studs or buttons, which as any parent trying to dress a wriggly baby can attest, is a godsend. This brand has really sweet styles and great prints. They do babies to kids clothes so it’s the kind of brand that can grow with your little one if you become a fan of their range. 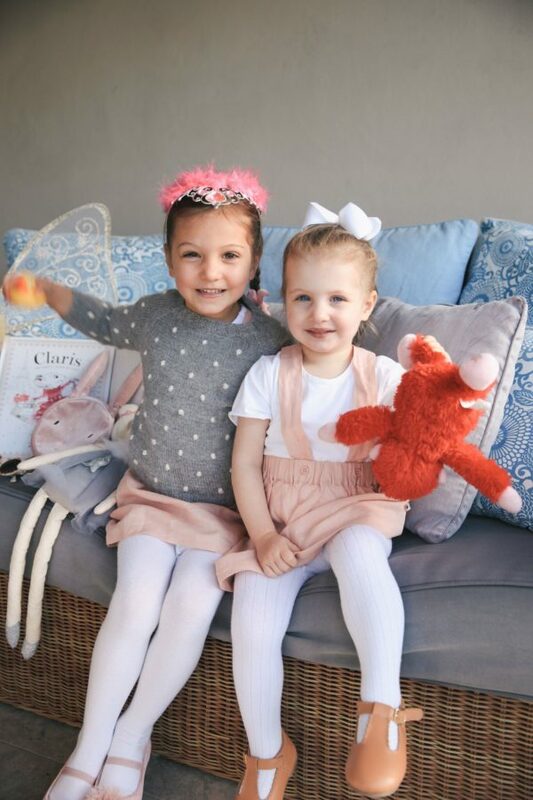 When its comes to dressing the girls for super special occasions such as birthdays I’ll splurge on dresses from Tutu du Monde. The intricate embellishments make them a little work of art. This brand does a clothing range but I particularly love their shoe collection. If you’re after kids footwear that’s a little bit different (think rose gold mary janes and millenial pink gumboots) Hubble + Duke is the brand to check out. A friend of mine owns this brand and they do lovely cashmere sweaters for kids. It’s a splurge but definitely great quality. From printed sets to pieces with oversized bows and ruffles this brand is heaven for girls’ clothing. A great selection for those who are after kids’ clothes that are a little more fashion forward. This organic range of baby and toddler clothes is great as the designs are so on trend but are practical too—no fussy snaps or embellishments just really well made and designed clothes. Tell me—what are your favourite kids clothing brands? It’s International Women’s Day today and there couldn’t be a better time to say how proud I am to be raising two amazing little girls. Being a mum to Sophia and Grace is without a doubt the toughest, most rewarding and amazing job I’ll ever have and it comes first and foremost over everything else. Watching them at the age they are now, where they’re developing their own distinct personalities and becoming a little more independent each day, I’m looking forward to seeing how they are as grown women. My greatest hope is that they’re happy, strong, confident and ambitious and that they’re able to go after their dreams and achieve all they want. I’m ever so hopeful of everything the future brings but I also know that being a woman can be tough at times whether it’s dealing with career, societal expectations or the pressures that come with being female. My hope is that Luke and I can instil in them the resilience and confidence to weather anything that life throws at them and that they’ll always know that we’re there no matter what. I’m also thankful for the wonderful women who are there for my girls and for me. My family, especially my incredible mum and all my smart, successful, kind and loving friends form the support network that allows me to not only achieve in my own life, but to be the best role model and mother I can be to my daughters. So to all the wonderful women out there Happy International Women’s Day. Here’s to strong women: may we know them, may we be them and may we raise them. I absolutely love hearing from all of my readers especially when it comes to receiving questions whether they be about fashion or parenting or just a beauty question that you’ve been dying to know the answer to. I received the below question from Elizabeth in the comments section of this particular blog post about travelling and I was excited to see it as it’s a topic that I’m sure other parents out there can relate to (especially if you’re about to go overseas on a family trip). If you ever want to submit a question for my reader Q&A don’t forget that you can do so by leaving a comment, contacting me on Facebook, Twitter or Instagram. We all know that planes are absolutely full of germs and my kids have been known to catch a cold on them in the past so I now try and do as much as I can to stop it. The first thing I do is around two weeks before we go away I give the girls probiotics. I use the powder form and just pop it in a drink for them. Alternatively you can also buy chewy gummy ones if your kids would prefer a lolly to a drink. I continue this ritual during and after travelling to help boost their immune system as much as possible. When we’re actually in transit I am quite militant about using hand sanitiser on the plane and also washing the girls’ hands regularly. You just never know what they’ve touched so I prefer to err on the side of caution and just keep their hands as clean as possible. Also I tend to rug them up as planes can get chilly and I make sure to give them lots of fluids. In terms of jet lag (which can be quite torturous when you’re travelling with children! ), I just try and get them into the local time zone as quickly as possible so we can get them back into their regular routine as soon we can (with an hour or two leeway). This sometimes means that I will need to wake them up when they are still tired but I have found they always bounce back pretty quickly. There’s always going to be an adjustment period but if you get onto it straight away they’ll generally be on local time before you know it. And of course, you start the process all over again when you get home. Travelling with kids is admittedly a lot trickier than when you’re sans children but it’s all so worth it when you think of all the happy memories you create while you’re away. Do you have a question you’d like to ask me? Just pop it in the comments section below and I’ll answer it soon. I spend my life in sneakers whether it’s paired back with a dress or jeans and a tee. A pair of classic white sneakers is a must and is a worthwhile investment as it can work back with so many outfits. They’re ideal for those days when you’ve got a packed schedule with the kids and need to be comfortable. During winter I often rely on my jackets to change up the look and feel of what I’m wearing. If I’m purely relaxing with Sophia and Grace then I have a puffer jacket I pop on as it’s casual and warm. However if I need to look smarter I often put on a nice coat or a blazer to help dress things up a little. The thing with outerwear is I can be wearing the same thing underneath— so jeans and a tee for example and changing up the jackets can instantly change the vibe of my ensemble. I love clothes with pockets. Since the girls are getting older I don’t need to bring a baby bag with a million things which is why I tend to gravitate towards coats and jeans with pockets. If we’re not going out for long I don’t need to pack a massive bag, and I just pop my key essentials in one of my pockets and I’m set. Backpacks and crossbody bags are a huge trend and they’re a godsend for mums. I often opt for either style when I’m out with the girls as it leaves my hands free (this is ideal as most mums can attest you never know when you’ll need to stop someone from running off or need to wipe someone’s hands). I’ve invested in a quality leather backpack and crossbody bags as it can withstand the daily wear and tear that running around after two kids can bring. A simple neutral colour such as black, grey and navy is perfect as you can match it with virtually everything in your wardrobe. I love the feel of luxe fabrics like cashmere and silk but when I’m on mum duty they stay at home. I will always wear easy wash and wear items made of cotton or wool as I’ll invariably end up with something on me so need to be able to clean it off quite easily. I’ve found that by building up my collection of comfortable pants— so think things like jeans, leather leggings and casual lounge pants— it has made getting dressed every day easier. I can pair them back with my trusty t-shirts or jumpers and I’m set. I’ve found that anything I can easily throw on (that doesn’t need ironing) makes getting dressed so much more straightforward. I’ve got a good range of t-shirts and sweaters in practical neutral colours that I can rotate every day. I’ve made sure that my tees and sweaters can work back with everything in my pants collection and vice versa so I don’t have the added layer of complexity of trying to figure out what to match with which. What are some of your favourite wardrobe essentials as a mum? Once we graduated from the baby stage into the toddler phase with Sophia, all of a sudden we had a whole new set of concerns to contend with. From wanting to jump out of bed a little too early to toilet training, she was all of a sudden in a new stage of independence that saw us having to adjust accordingly. We slowly discovered some handy gadgets and additions into our home that made things a little easier. Now Grace is about to enter into the same phase, we’re going back to these tried and tested favourites to help us once again. If you’ve got a little one that’s around the same age I highly recommend checking out the below. I always love it when other mums recommend things to me that they’ve found successful with their own kids so hopefully there’s something in the mix that might help you out too! This was a lifesaver with Sophia and I’m about to use it with Grace. It really helped Sophia as often she would wake up early and not know what time it was and just automatically get up even if it was 5am. 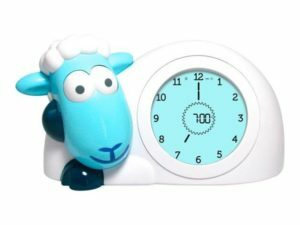 But with the Sam the sheep clock, if the sheep was still asleep she would know that it was still bed time and would usually resettle herself. I’ll often still use the clock with Sophia if we’ve been overseas and she’s a bit jetlagged and is waking up too early or if she’s just a little out of her routine and I need to reset her wake times. 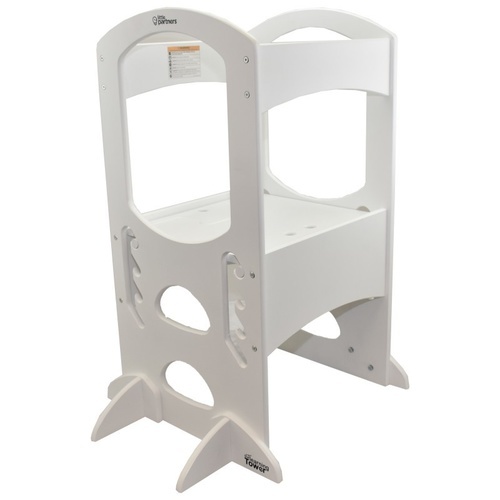 When Sophia was being toilet trained these were super helpful with overnight sleep and any potential accidents. 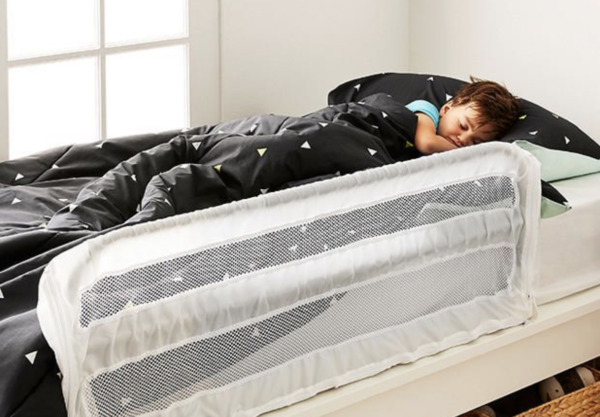 You just lay them across the bed (like a towel) so if there is an accident through the night you could quickly rip off the top layer and not have to change a full bed. I still use them if either child has a vomiting bug as they can be used the same way and it means I don’t have to fully disturb them and remake the whole bed. I will definitely be using them again when Grace is ready to be toilet trained. Grace is using this now and it’s such a great addition to our kitchen. It’s a little step that allows her to climb up so she’s at bench level and can be part of the action. Whether she uses the bench space for snack time or play time, she can just climb up whenever she wants. It’s adjustable too so she’ll be able to use this little step till she’s six. This is especially great if you love having your kids get involved in cooking or baking. It can be a big adjustment going from a cot to a big bed and I found these to be a great way to ease a little one into the transition. Grace is still in her cot but Sophia used these when transitioning into a bed and it made her feel safe and secure so we will be getting them out again when the time comes. Tell me—what are some of your toddler essentials? My kids love books—especially Grace who can’t get enough of them. We’ve always read to our girls from a young age and storytime is always one of the highlights of our day. 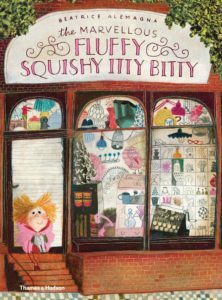 There are so many brilliant kids’ books out there and whilst we always try to read a range to Sophia and Grace, we’ve definitely got a firm list of favourites that we turn to time and time again. The girls are at a great stage now where Grace is at the age where she’s enjoying the same books as Sophia so this makes bedtime reading even more fun as we can do it together, and both of them are engaged. So what books do we like reading? Well, I’m sure a lot of parents will agree with this but a rhyming story is always a hit. My girls love them. It’s also quite fun to read them as well so it’s a win-win situation. However generally anything with animals, beautiful illustrations or just a really great fun story is always a favourite in our home. At the moment there’s currently a rotation of about 15 books that will always get pulled out a bedtime. In fact we read them so much I’ll probably be able to recite every word without looking pretty soon! It’s always such a beautiful ritual to end the day by reading to Sophia and Grace and it’s something that I hope will continue for many more years to come. If you’re currently looking for a new storytime read, I highly recommend the following books, which have mine and my kids’ tick of approval. This is currently Sophia’s favourite book. The illustrations are gorgeous and the story is fantastic with a great lesson. 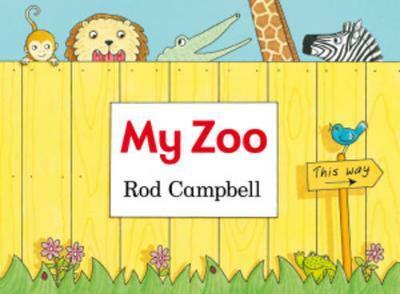 This is one of the best rhyming stories for kids, full stop. 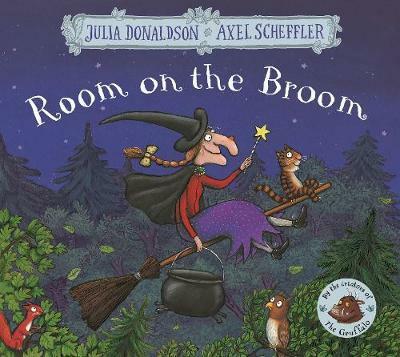 It’s a clever story about a crafty mouse outsmarting a snake, a fox and an owl along with the Gruffalo himself. It’s an enjoyable read for the whole family. 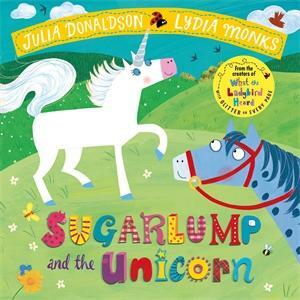 The author Julia Donaldson can always be called upon for a great kids’ read. 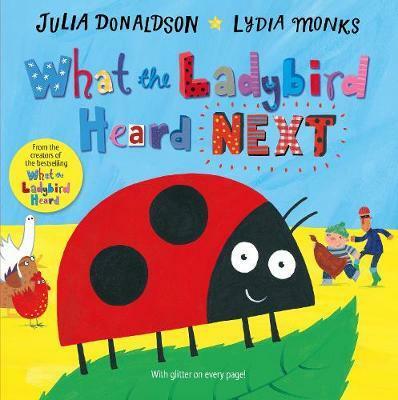 This is about a ladybird outsmarting robbers with the help of her farmyard friends. And hey, there’s glitter on every page so it’s a definite crowd pleaser. 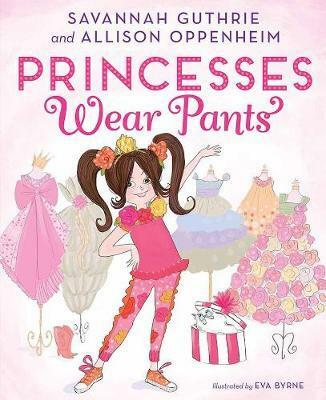 This story has a great lesson about staying true to yourself and is especially great if you’ve got kids going through a princess phase as Princess Penelope Pineapple is not your typical damsel in distress. She’s intelligent, adventurous, driven and is a great role model. Oh and the story rhymes so double thumbs up! 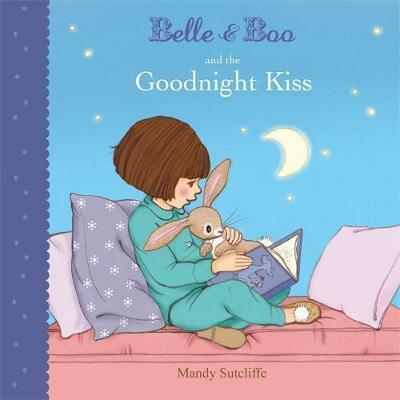 This is a great read at bedtime because the it follows Belle, a little girl and her bunny friend, Boo as they go through their night routine from bath to story and goodnight kiss, so it resonates well with young kids. 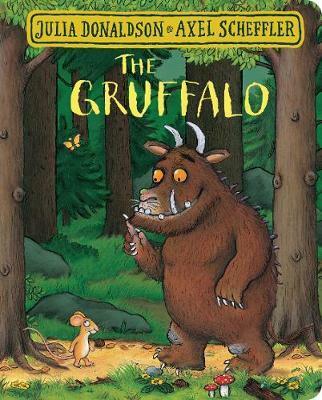 Another great rhyming tale by the pair behind The Gruffalo. This one is about a witch and the adventures she has with all her animal friends in the forest, with a great message about friendship. 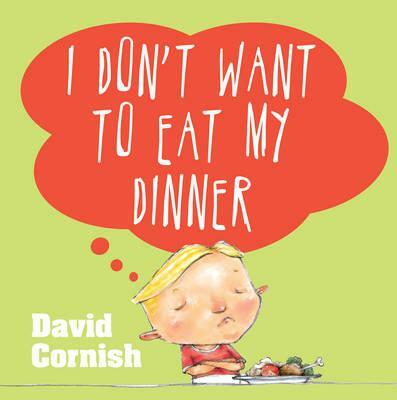 If you’re currently experiencing issues with your little ones eating their meals at night (or any other time of day for that matter) then this book is a must-read. It’s all about a young boy named Rollo who manages to make dinner time one of the most exciting times of the day. 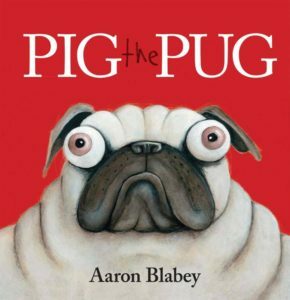 This a funny read, with great illustrations and a really engaging character—what kid doesn’t love a dog? It’s one of those books that both adults and kids will enjoy. 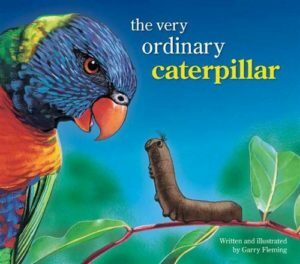 Set in the Australian bush, a little caterpillar is surrounded by so many interesting animals and plant life that he realises how ordinary he is. However he soon spins himself a cocoon and well, you know what happens next! 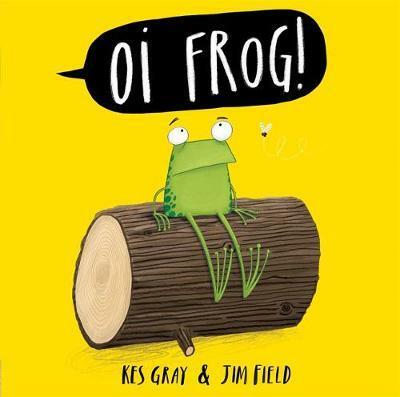 A funny rhyming story about a frog who discovers that all animals have their special places to sit. The illustrations are also great so this book will definitely incite a giggle or two. 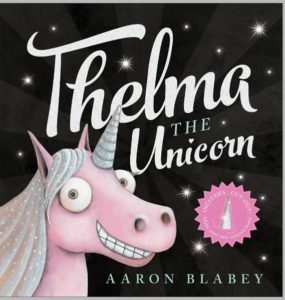 Written by the author of Pig the Pug this is about a little unicorn who yearns for a more glamorous life but soon discovers that her old life and who she was minus all the glitter and sparkle is exactly where she wants to be. 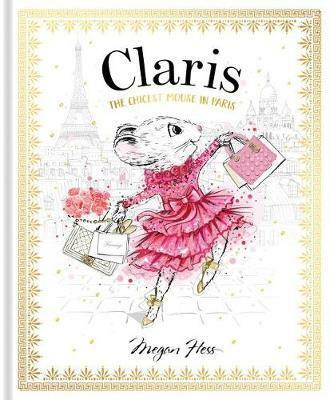 This book is about a little girl trying to track down the perfect present for her mum. The colourful illustrations are a favourite with my girls. This book is a good one to read before bedtime as it culminates in finding a (spoiler alert!) sleeping green sheep. It’s one of Grace’s current faves. 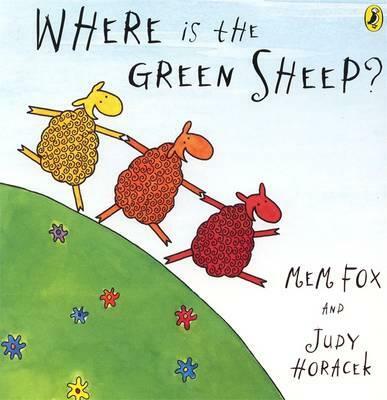 Grace is into any books with animals and this one is a great, with lots of cute illustrations. This a good one to read when your child is going through the phase of learning about different animals. The first lesson you quickly learn when you become a mum is that me time is quickly replaced by everything else on your very lengthy to-do list. Those precious moments where you can have a little time to yourself are a rarity, but when they do come around I find that it always leads to feeling ready to tackle the craziness of motherhood with a little more energy in your reserves. I think me time doesn’t always have to involve lengthy periods of time away from the kids; I’d classify it as anything from five minutes to enjoy a shower in peace to finishing a cup of coffee before it gets cold or being able to watch something on television that does not involve Peppa Pig! I’m in the extremely fortunate position that every so often my work involves having to do things like get my hair done or have a manicure in preparation for a shoot or big event and this allows me to marry work and down time. I’m unbelievably grateful for this every single day! The one thing that does allow me to clear my head each week is the few hours I am able to get away to my office and just power through emails and life admin. 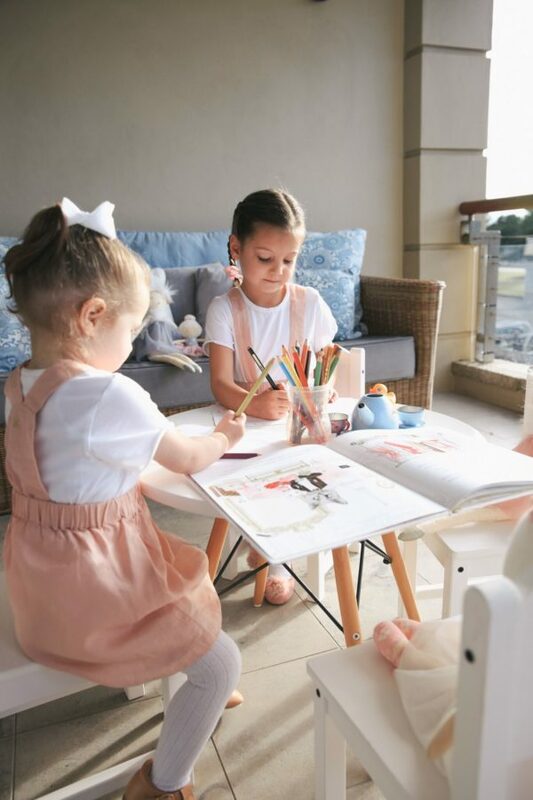 I know it’s not technically me time but for me it gives me the same feeling of rejuvenation as I am able to be 100 per cent productive, and at the end of it I can shut my laptop and return to my girls, ready to give them my complete attention. That said, nothing beats being able to enjoy a night out with my girlfriends or simply relaxing at home. I find all these things are able to help me recharge my batteries and allow me to keep up with Sophia and Grace and be the best mum I can be. Hopefully as the girls get older there will be a few more opportunities for a little me time but for now I am trying to make the most of the time I do get and enjoy it a little more. Tell me—when you do get the opportunity for a little me time what do you enjoy doing? What should new mums do if they’re feeling overwhelmed? Set realistic expectations. Things seem to take exponentially longer to complete. Don’t pressure yourself to do everything, instead prioritise what is most important and target your energies here. Make time for yourself/self care. It’s hard to do but oh-so important! It may be a small activity like an extended bath, body scrub or washing your hair, a coffee up the shops solo or a walk around the block with your partner. Micro moments can be magically restorative. Avoid isolation. Try to connect with other mums and talk to them about their experience. It can help to see that others are having challenges too and often gives you better perspective on your own experience. Ask for help. Try to open up to the people close to you and let them know you need help. It is not a time to be a hero and the only person you let down when you push through the pain is yourself. Often the fantasy of becoming a mum is different to the day to day reality of motherhood and some women may feel a little disillusioned by the experience. What are some ways to deal with this? Look at what it is that you are missing from life before your baby—is it the mental stimulation of work, the relevance beyond the home, the lack of freedom in being able to just walk out the door—maybe all of these? Look for ways that you can reestablish this within your routine as a mother. It may not be in the same form but there is often different opportunities that we have not had to consider before. Be patient—this adjustment in self concept can take time and is not always pleasant. Try not to make the mistake that challenging feelings mean that things are not going well or that motherhood is not for you. These feelings are common as it is a very stressful and demanding time. If you are worried about how difficult you are finding the transition into motherhood, speak with a professional to navigate these thoughts and feelings. Make plans—it may be for a holiday, your return to work, a night out with friends. Motherhood is not all or nothing. Eventually you will find a way to weave back in aspects of your life that you enjoyed. Making plans for this can be empowering. Be selective about what information you are consuming. If you are evaluating your experience of motherhood against Instagram tiles, look elsewhere. This is only a narrow reflection on moments of motherhood and not the gold standard. If it is impacting you negatively then maybe switch off for a while. Some new mums may miss their old life and the freedom that they had. Is this a normal feeling to have? What are some ways to deal with it? And what should they do if they feel they’re not settling into their new life at all? I think that this is pretty common. I remember being pretty bewildered when my first child arrived and asking my mum (probably with a few tears running down my face! ), “how does anyone get anything done?!”. It is such a sudden and significant shift in pretty much every domain of your life so even if you are ready for it, you want it and it is where you want to be, it is normal to feel very shaken and destabilised by the seismic adjustment that takes place. Talk to others about how you are feeling. Caring for a newborn is a steep learning curve and some women may start to feel self-doubt about their abilities as as mum at times. What can be done to address this? I think that all new mothers suffer a crisis in confidence. Firstly everything is new and secondly there is so much conflicting information coming at you even within the hospitals. I think it can be helpful to identify a few trusted people and resources and use that as a starting point. But most commonly women experience the greatest distress when they feel disempowered to trust their own instinct. I am a big advocate of trusting your gut and nowhere seems more natural to do this than when caring for a newborn. If in doubt, then of course, seek advice and do this early. It is often just small adjustments that make the world of difference and help us recover and restore our confidence. Becoming a new mum often means having to deal with a new identity in some ways as you try and blend the old you and the new you. What can women do if they feel a little lost during this process? It is exactly that, a process and one that takes time. I think motherhood is a constant time of adjustment and readjustment as our children grow. Very rarely does the learning and changing plateau. This is an experience quite unique to the world of parenthood. There will be parts of your life before children that you no longer connect with and enjoy and there will be parts of life as a mother which you never imagined would bring you joy, but insanely they do. Whilst these changes can be confronting and challenging, it can help to approach it with curiosity rather than judgement. You always have choice even if the options on face value seem more limited to begin with. Try to start out prioritising the things that are most important to you and look at how you can maintain them (perhaps in a different format). Motherhood is a journey not a destination. There is nothing that shakes up life as you know it as swiftly or as deeply as becoming a mother. The changes that arise from having a baby along with the ups and downs and challenges that accompany this period can sometimes mean that it can become a little overwhelming. 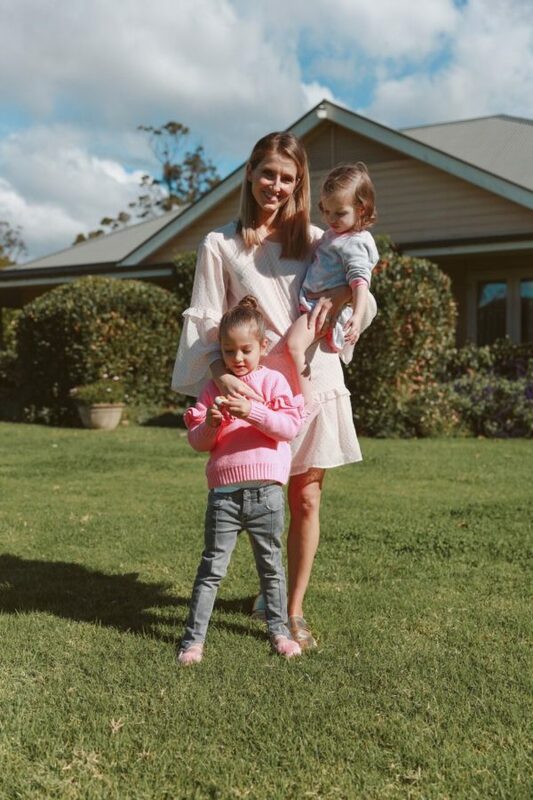 It is navigating this tricky time that is the inspiration behind psychologist Belinda Williams co-founding The Bumpy Road, a practice that is entirely focused on mothers. Whether you’re a mum-to-be or a brand new mama it can help to arm yourself with the right strategies to navigate the path that is parenthood. Here Belinda shares her tips for dealing with life post-birth. Speak to friends and family about what the transition is like—the good, the bad and the ugly. Focusing on only one part of the story is not helpful. But knowing what to expect can help manage your expectations and plan for the upcoming change. Understand what are the non-negotiables for you and plan accordingly – it may be trying to remain active and getting the right equipment or finding post natal exercise classes you can try; or it may be mental stimulation such as listening to podcasts and TEDx talks whilst feeding. Whilst time is a rare commodity with a newborn, it is often a case of being preoccupied, not busy as such. In the melay, there will be micro opportunities to honour what matters to you. Stay connected with your partner – this will provide you with the best chance to be on the same page and understand each other’s perspective and experience. It can be wildly different for the mother and the supporting partner and it’s easy to expect for them to know your needs. Often they don’t, so speak up and verbalise in (in the most neutral way possible!). Remember you are a team! Getting out and about can seem near impossible but fresh air and sunshine (if you are lucky) can help to reset the clock and improve energy levels. Saying yes when help is offered is tremendously liberating. People genuinely want to offer the support and any opportunity for a moment to yourself, a dinner taken care of or a dash up the shops can give you an enormous amount of relief. Put your hand up for help if you are in need. There are so many great professional supports available including your GP, Psychologist, Physio, and private midwives. The earlier you ask for help, the better chance you have at getting the help you need and improving the wellbeing for you and the family unit. What should you do when you’re feeling overwhelmed? What are some strategies to deal with the challenging day-to-day reality of being a mum? Don’t miss Belinda’s column next week where she offers more valuable tips for new mums.